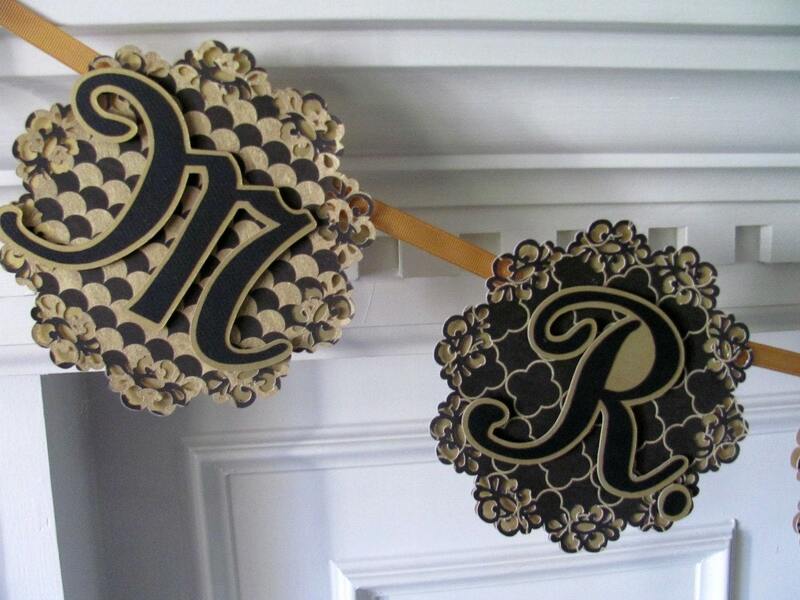 Listing is for a beautiful gold and black Mr.& Mrs. banner. Perfect decor for bridal shower or wedding reception. This banner would also make a great photo prop. Banner panels are approximately 5" in width and are done in shimmer gold with a lace cut, black and gold designer paper overlay. 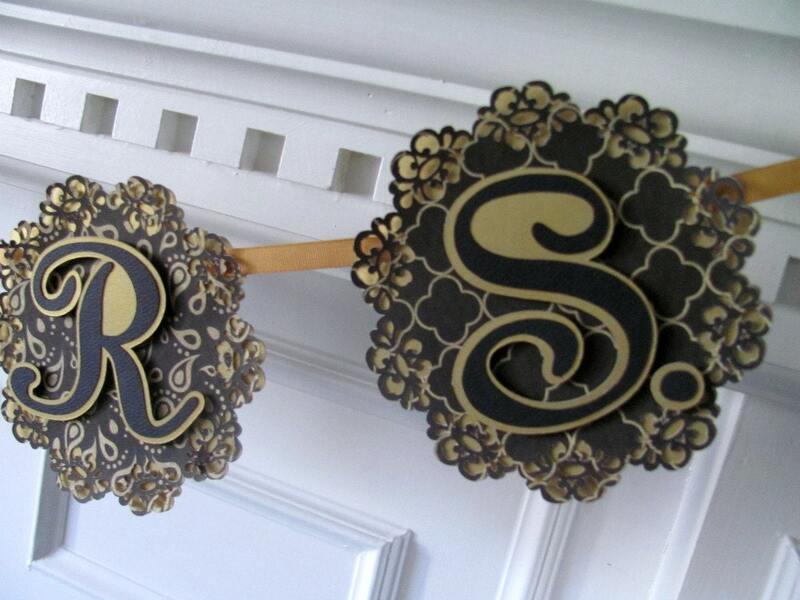 Letters are 2 layers and are in gold shimmer and black card stock. 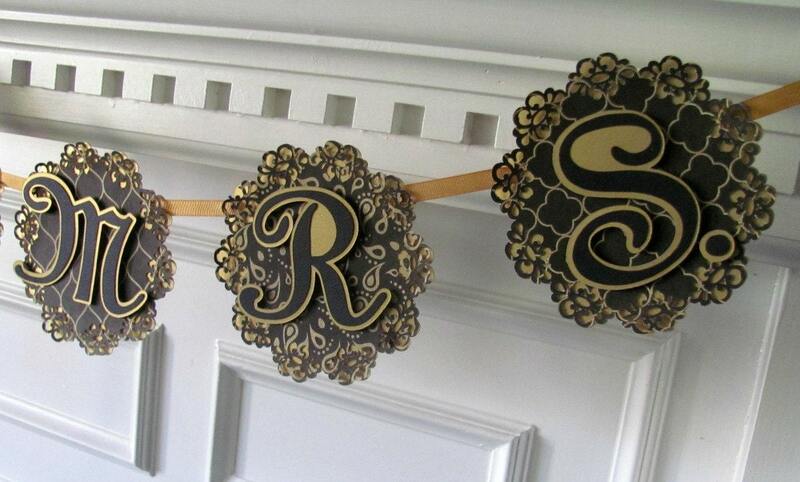 Ribbon color in antique gold. A 2nd banner featuring the name of the couple is available for an additional $10.00 and may be purchased under options. Please allow 1-2 weeks for order processing. Rush order will be considered but please contact me prior to ordering. All domestic orders are shipped via US Priority Mail and come with tracking. International orders are shipped via US First Class International mail. Please allow 1-3 weeks for international mail.